We are proud to present the the winners of Hostwriter’s very first Pitch Prize. Congratulations to Hanne Couderé and Jim Huylebroek who follow a package of Heroin from the poppy fields in Afghanistan to the consumer in Europe in collaboration with Asli Elitsoy, Maria Cheresheva, and Stevan Stancic – colleagues who they have found over Hostwriter. Ninety per cent of all heroin used in Europe origins from Afghanistan and is smuggled via the infamous “Balkan Route”. 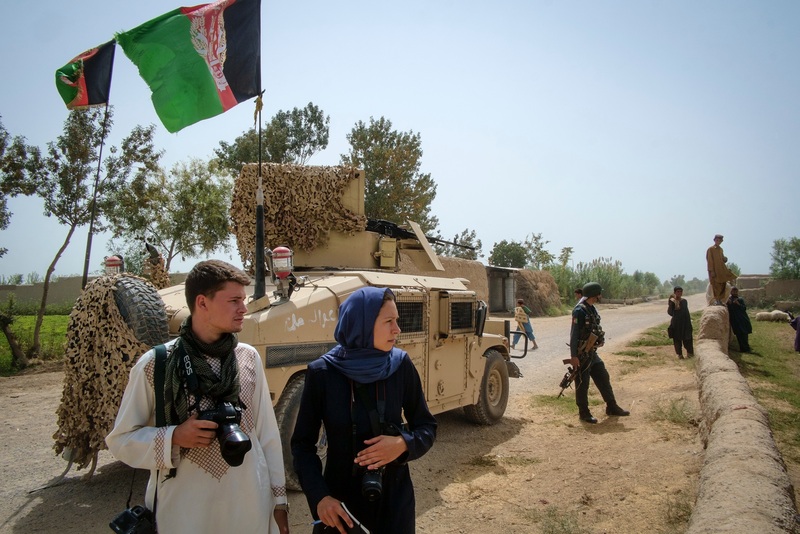 Journalist Hanne Couderé and photographer Jim Huylebroek follow the trace of a “package of heroin” travelling from Afghan poppy fields along Iranian, Turkish, and East-European borders all the way to Western-Europe, working together with local journalists Asli Elitsoy (Turkey), Maria Cheresheva (Bulgaria), and Stevan Stancic (Bosnia-Herzegovina). Hostwriter will follow the team’s journey and post their updates on our social media channels. Thank you to everyone who participated in this year’s Pitch Prize competition. We received myriad promising applications ranging from an investigation with baby eels to Belarusian border controls – many of which would have deserved the crown. We hope to hear back from you, too. We would be happy to share these excellent examples of collaborative journalism with the Hostwriter community. Thanks to the Otto Sprenger foundation, we can award €1.000 to a promising collaborative journalism project in the making. With this prize we hope to inspire more of such great collaborative researches! The winners for the Hostwriter Prize for already published pieces will be announced within the next weeks.